On sale! 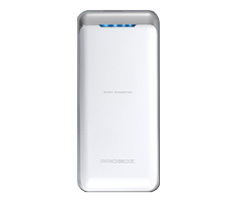 (normally $35) The Hotway ProBox 5200mAh power bank is compatible with smart phones, iPad and iPhones and allows you to charge your devices while on the move. Designed to use high quality Japanese battery cells, the Hotway ProBox is reliable and features short circuit protection, over-discharge/over-charge protection, over-heat protection and over-current protection.